Bonnie Dell Dyer, age 84 of Harned, KY died Sunday, February 10, 2019 at Breckinridge Memorial Nursing Facility. She was born in Kingswood, KY on July 9, 1934, the daughter of the late Roscoe and Margaret Basham Patterson. She lived her entire life in Breckinridge County and was an avid sports fan. She enjoyed watching NASCAR, basketball, football, baseball and golf. She loved being with family and was a wonderful Mom, Nanny and sister. 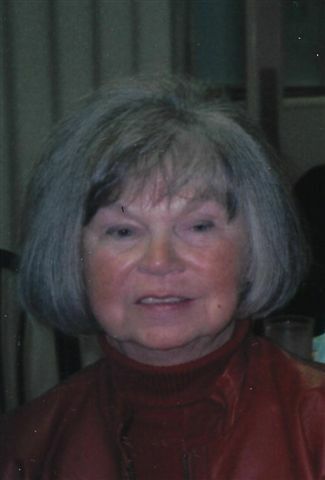 Bonnie was a member of Kingswood Wesleyan Church. In addition to her parents, she was preceded in death by her husband Thomas Eugene Dyer and her brother Bob Patterson. Funeral services will be held at Trent-Dowell Funeral Home 308 South Hardin Street Hardinsburg, KY 40143 on Wednesday, 2-13-2019 at 12 PM. Burial will be in the Kingswood Cemetery. Visitation will be held on Tuesday, 4-8 PM and Wednesday after 8 AM. Expressions of sympathy are suggested to Kingswood Wesleyan Church.